In cases of incarcerated nails and ingrown nails, in mild cases, taping and corrective treatment are performed. However, if the inflammation is strong, surgery is performed. Cut out the shaded area in the figure. 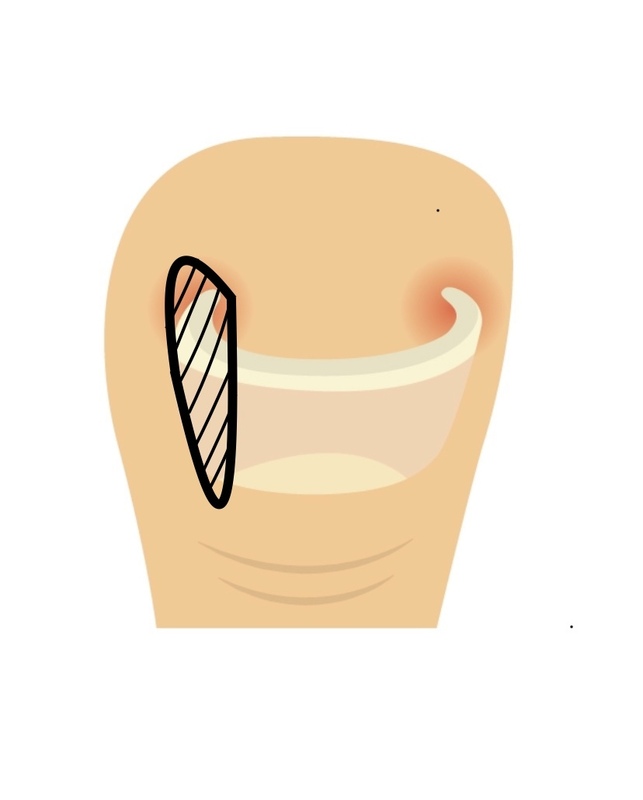 There is an advantage that treatment is completed in a short period of time, but there are certain limitations to daily life, such as narrowing of the nail width, post-operative pain and the need to refrain from taking a bath for a while. In addition, sometimes it may recur and nail deformation may be seen.